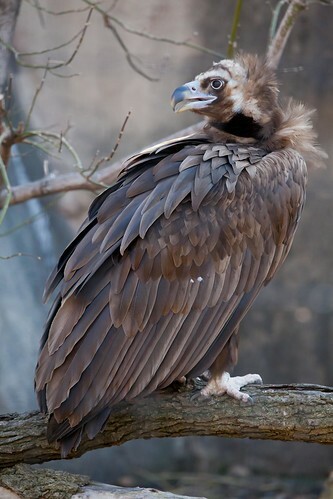 A large bird, the cinereous vulture can measure more than three feet in height and has a wingspan that can extend up to ten feet. 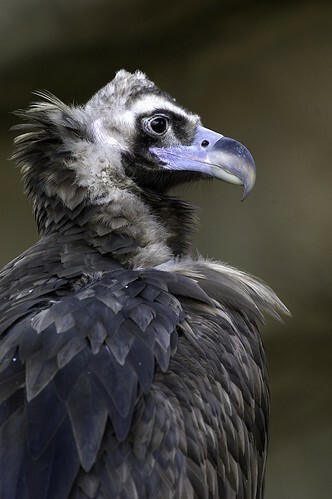 Cinereous vultures have dark brown feathers with a dull blue head, neck and bill. Near threatened. 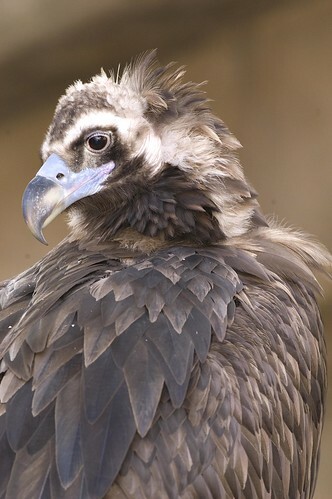 Lincoln Park Zoo cooperatively manages cinereous vulture populations with other institutions in the Association of Zoos and Aquariums. 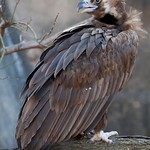 A scavenger, the cinereous vulture feeds on carrion ranging from large mammals to fish and reptiles. Scavengers play an important role in the ecosystems they inhabit; by feeding on dead animals they recycle nutrients and speed the process of decomposition. 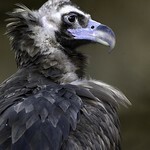 Cinereous vultures build their nests in trees and on cliffs high above the ground, using sticks and twigs as building materials. Males and females cooperate in rearing young. Massive beak is well suited for feeding on tough material such as sinew, dry skin and muscle. 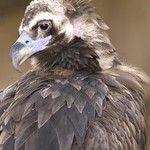 The short feathers on the cinereous vulture's head and neck keep the bird healthy by preventing gore from accumulating when the animal is feeding. Sharp eyesight helps the vulture spot carcasses from far above.